THEY ARE BACK: Mel Strawbridge, Helen Jarvis, Jo Fletcher and Candace Baldwin in The Marvellous Wonderettes : Dream On. THE Marvellous Wonderettes are back on stage! On The Marvellous Wonderettes:Dream On, the talented ladies have returned to Springfield High to farewell Mrs McPherson, their favourite teacher who will retire soon. 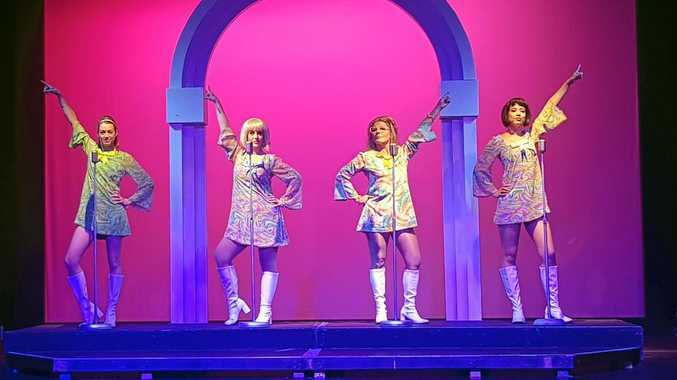 The first act features popular songs from the era, which tells the girls' continuing story through the pop hits of the swinging 1960s. The on-stage chemistry among the actors is strong, and audiences may find themselves singing along to the familiar songs featured in the play, particularly in the case of Baby Boomers. The second act finds them in 1978, at the 20th reunion of their high school graduation, 10 years on from the show produced by Ballina Players in 2017. It was then that local audiences first met Missy, Suzy, BJ and Cindy Lou, The Marvellous Wonderettes. 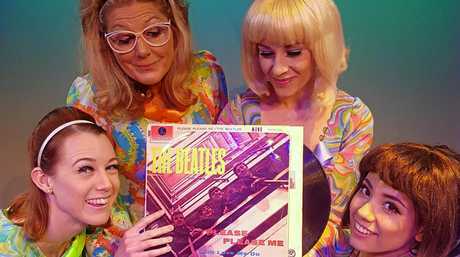 This time theatre-goers will discover what has happened in their lives and again, and the story is told through the songs the of 1970s Disco era. The cast are Mel Strawbridge, Helen Jarvis, Jo Fletcher and Candace Baldwin. Tickets are $25 for adults and $15 for children 16 years and under. At Players Theatre, 24 Swift St, Ballina, from August 24 to September 9.